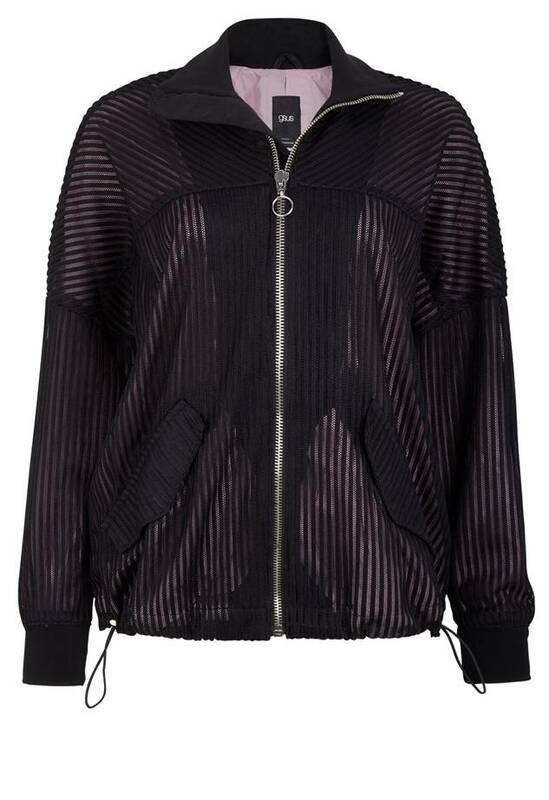 Give your outfit a twist with this mesh bomber. This jacket is made of black semi-transparent material with a pink lining, making it easy to combine. Detailed with two pockets on the front, low shoulders and elastic trim.